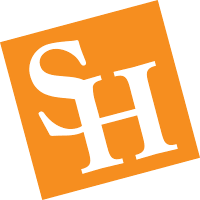 Founded as Sam Houston Normal Institute in 1879, Sam Houston State University is the oldest teacher preparation program in Texas. The BA or BS in Interdisciplinary Studies and the Secondary Education minor offer small class sizes and personal attention from a highly qualified faculty. The first step to becoming a teacher is deciding which grade level you want to teach. Students interested in teaching grades EC - 6, Special Education EC - 12, or Bilingual-Spanish in EC - 6 will major in Interdisciplinary Studies. Students interested in teaching grades 4 - 8 will also major in Interdisciplinary Studies, but will minor in the preferred teaching field such as Science, Mathematics, Social Studies, or Language Arts. Students interested in teaching grades 8 -12 will major in the preferred subject (teaching field) and will minor in secondary education. All students are required to participate in field experiences in public schools. The Interdisciplinary Studies degree is offered at the main campus in Huntsville and at The Woodlands Center.